In this episode: Perpetual Girl wears an evening gown…and…Ranch Racer reads some instructions! This is an epic episode as it marks the team’s final recording before posting the first three episodes on iTunes, making the Love ‘N Watches Podcast official. Exciting stuff! Recording quality should be noticeably better from here on out. 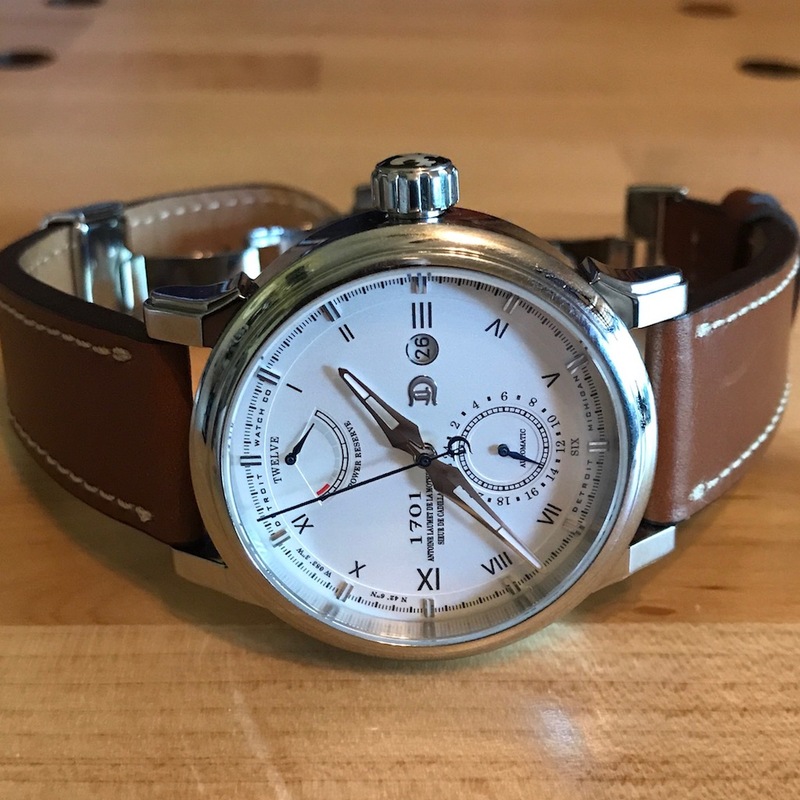 Wrist Checks: Double R is sporting a recently acquired Seals Watch Co. Model A that he borrowed and didn’t return to another fellow watch geek. 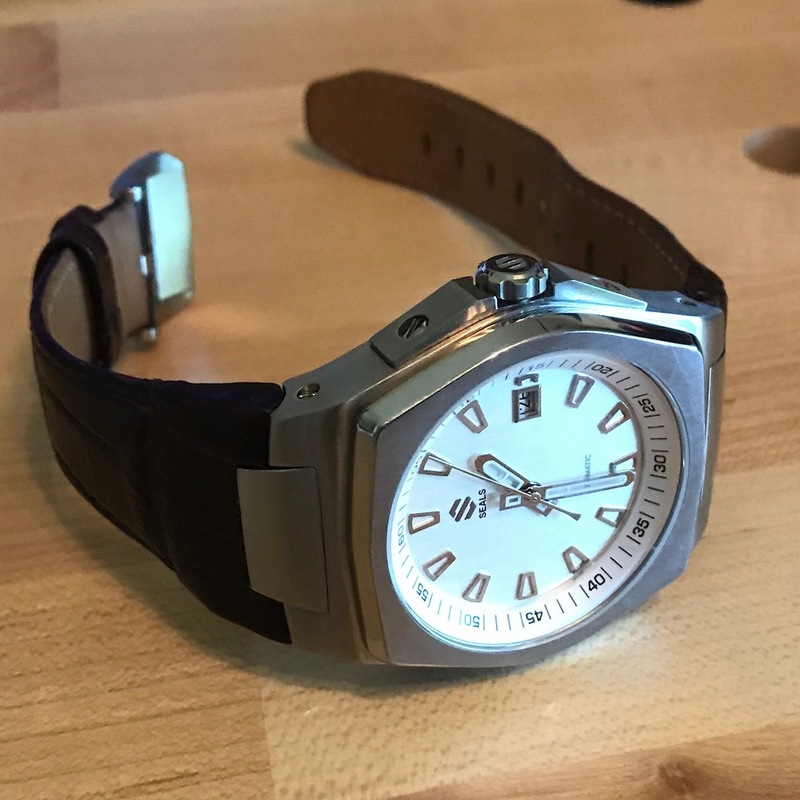 Michael Seals is a local watchmaker in the Northern California Foothills who takes his inspiration from military tanks. PG is wearing a mid-2000s era Bulova ladies quartz that Double R bought for her after a few years of marriage. The topic for this episode focuses on revealing just a small part of the dynamic duo’s watch collection. 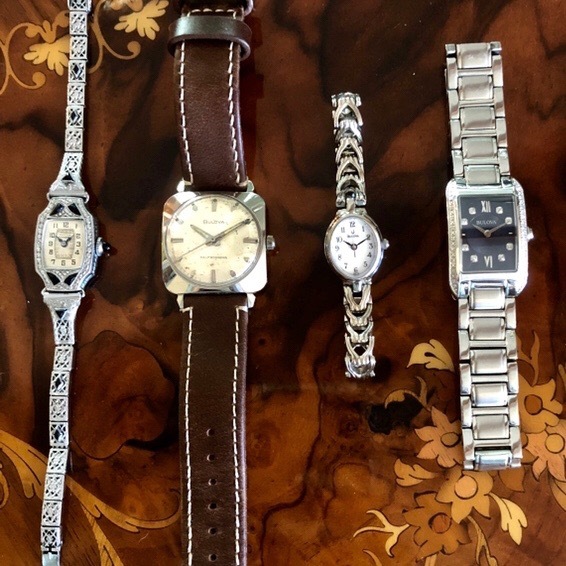 PG actually had a plan, discussing several of her Bulova pieces, both vintage and modern. Double R did no planning whatsoever, basically grabbing three completely random watches from his collections and talking about them in no particular order. PG – 1, Double R – 0. PG kicks things off with her very well preserved Bulova Miss America from the Art Deco period of American history, complete with an original box that the watch would have been delivered in back in the day. 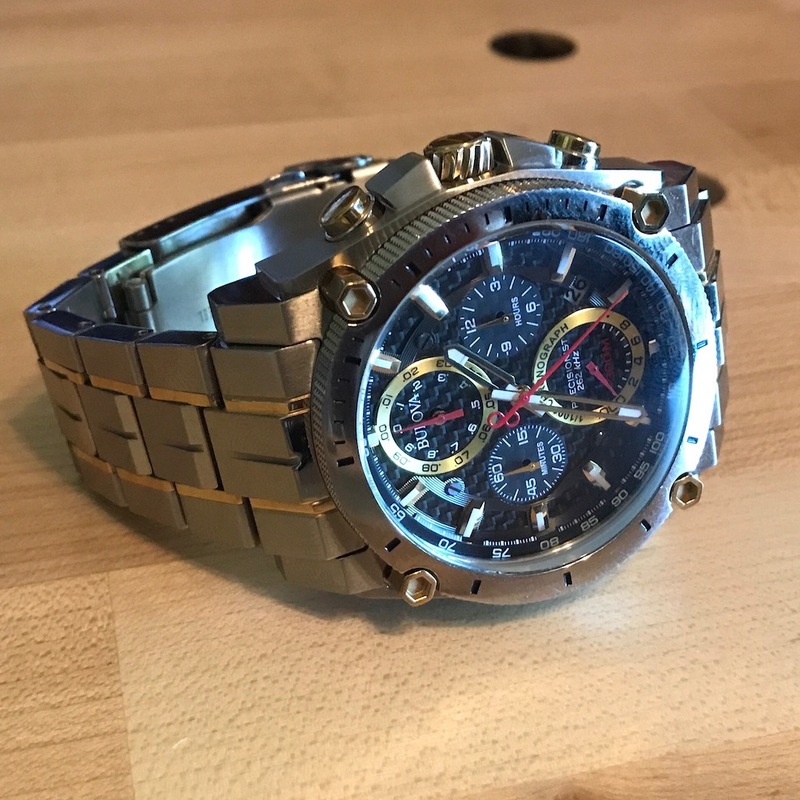 Double R then chimes in with his hideously gigantic Bulova Precisionist – not a watch that he wears all that often anymore – with its high frequency 262kHz quartz movement and very cool chronograph complication, a Christmas gift from PG. Then it’s back to PG with her Bulova blue dial Ladies Diamond Collection watch, a Christmas gift from Double R, who then waxes poetic about his Detroit Watch Co. 1701 Power Reserve. 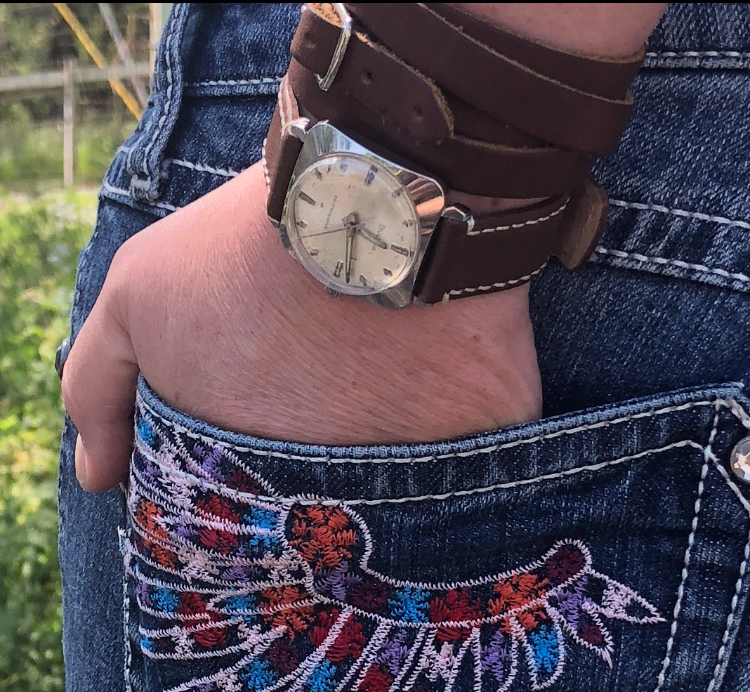 PG wraps up with another vintage Bulova that she actually bought for Double R and then stole back. 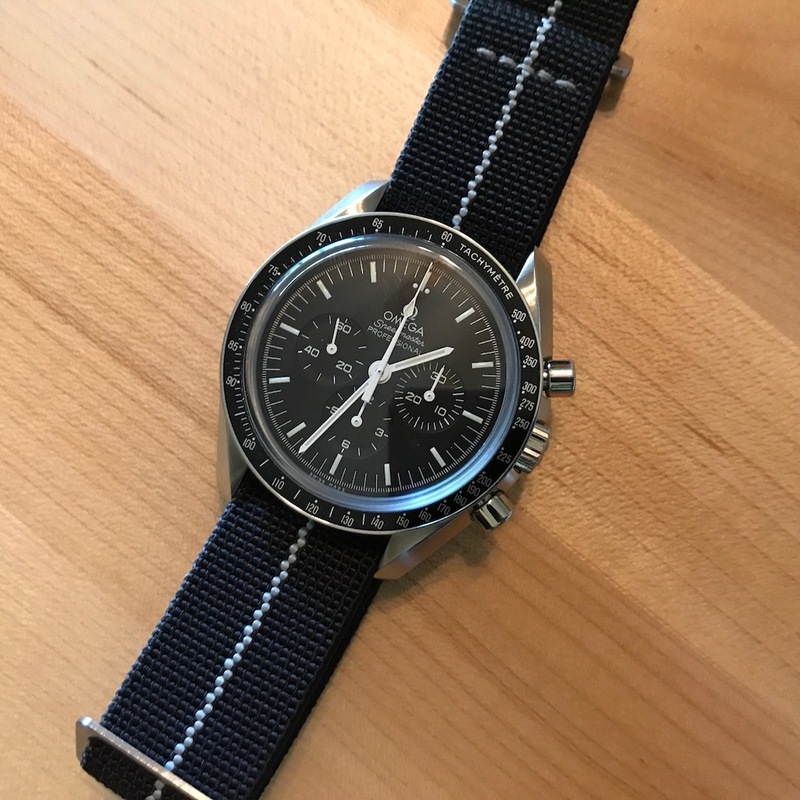 Double R finishes off with his newly acquired Omega Speedmaster “Sapphire Sandwich”. Great story behind this one! The team is heading to a couple of really cool shows in the next month. First up is Windup in San Francisco May 18th through the 20th, followed by COUTUREtime in Vegas the first weekend in June. Should make for some great future show content!